Flogging some tat…Check out my ebay auctions!! Second of the blog posts today seeing as I have a bit of time to write about something, I’m selling some tat over on ebay, some of which is miniature related, so I thought some of you might care to take a browse. 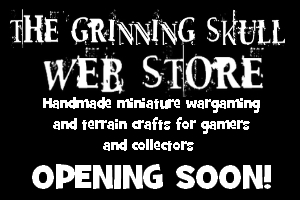 There’s some 28mm Weird war 1 germans, some Squigherders, 15mm witches, 28mm Slitheen, a bit of vintage ral partha and Skeletons, plus other odds and sods. Also theres an incomplete D&D boardgame, the Legend of Drizzt, packed full of plastic miniatures (a nice balrog, troll and dragon are in there, as well as loads of quite nice figures!) and interlocking floorplans. Take a look by going here: Check out my tat!! I’ll be sticking more miniatures and stuff on over the weekend, so I’ll let you know if there’s anything that might tempt you…! 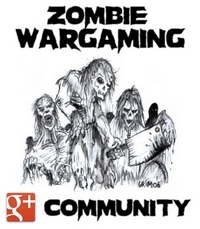 [The Grinning Skull] Scratch built 28mm Zombietown Highstreet up for sale on Miniature bids! 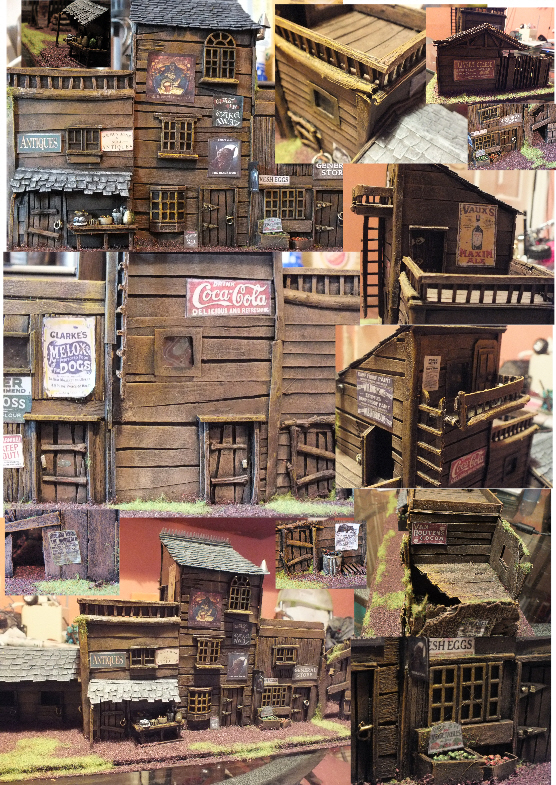 For sale: 15mm Black Dog Salvage Co. model terrain up for auction! 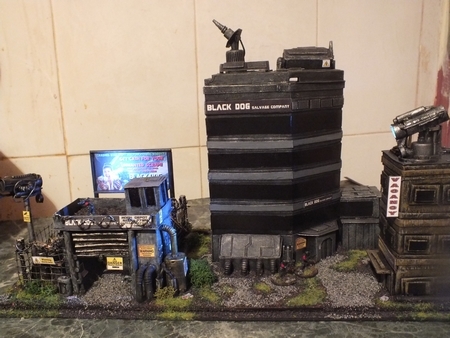 Some time ago, you may recall (If your a regular reader that is…) that I showed you a 15mm sci-fi building terrain piece entitled “The Black Dog Salvage company” which I made for games of the free wargame, Salvage Crew. Due to lack of space, I am reluctantly having to let it go. Sure I’ve used it a few times, and I did enjoy the experience of creating it in the first place, so I’m not too gutted. 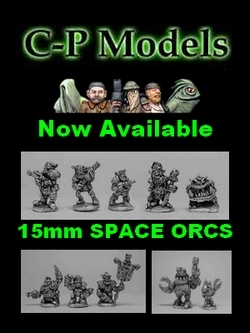 I think that it’s time to let another person enjoy the model in their 15mm scifi wargames. To be honest, I have to make way and space for some bigger terrain pieces for my Oggam table, and I have very few specific bits that fit completely with the salvage company building. In an ideal world I would be creating huge cityscapes and dioramas, but I just don’t have the room anymore that fulfill most of my artistic aspirations, so it’s really gotta go. Priorities and all that. Dropship Horizon Blog Launches Titanium Dropship 2014 ; 15mm sci fi miniature painting comp! It’s competition month: Get involved in the Pendraken Painting Competition 2014! The Problem with Semalt is…What f#*k is it? Dear Semalt.com….what would you write? Shameless plug: More clear out stuff on Ebay! Ok, so you know I was having a clear out last week or so, well I’ve got some other bits and pieces up for auction looking for new homes. 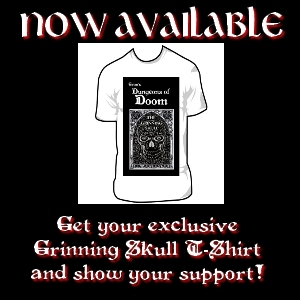 There’s a bit of Brewriana, Cards and stuff on there, so if you are interested, head on over to the Ebay and Sales page and take a look! I’ll be sticking some other stuff on over the next few days too, so hopefully there will be something there to interest you! Scratch built 28mm Zombietown Highstreet up for sale on Miniature bids! I thought I’d let you know that reluctantly I’m getting rid of this great scratchbuilt piece over on Miniaturebids. I have decided that I’m phasing out any other 28mm stuff (Apart from WFB) so this has to go. At least it’ll free up more space to build more 15mm stuff, and carry on with my other projects. I’d like it to go to a good home that’ll use it and appreciate it much more than I can, tis a shame yes, but you have to be a bit mercenary when your trying to have a clearout! 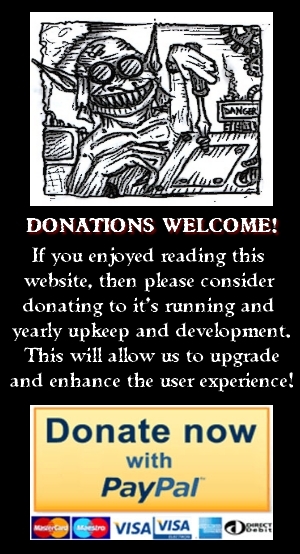 It also gives me a chance to try out the whole Miniature bids site and features, so there will be a few other zombie town related scenics going on there too. I’ll keep you posted about it! Of course there will be updates on my auctions over on my Ebay & Sales page too, so don’t forget to check up there as well if your interested in anything I have up for offer on the various sites. 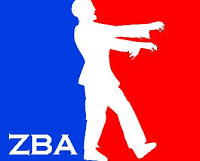 10mm Zombies now available from Pendraken! 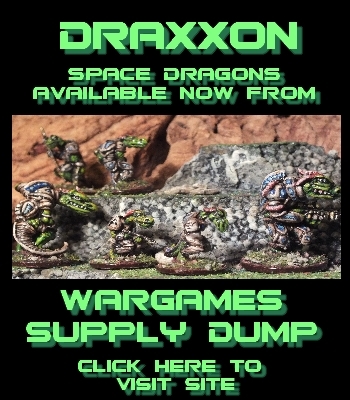 Just wanted to let you know about the new free to use wargames/miniatures auction site, brought to you by the guys at Tor gaming. If your not one for ebay and its costs and faff, you’ll be pleased to know that Miniature bids is free from all that and should net you a bit more dollar than letting ebay get their mits on it! The site is looking good, and since yesterday there has been quite a few lots put on there. I’ll be sticking some surplus lead from my pile on there this week, and urge you lot out there to start using such free services like this yourselves. Remember, if you don’t use it, you might eventually loose it, and no one would like that to happen. 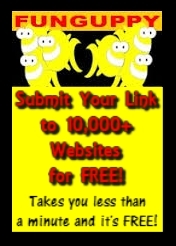 Support this new site and save some cash in the process! What’s not to like? Seriously though, we need to support great ideas like this in our hobby, especially if it means a better deal for us all, get over and sign up, and start selling (or buying) I’ll see you there!! 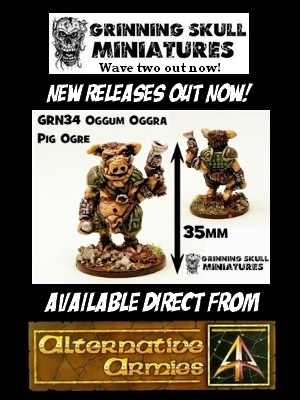 Miniature Bids | Auction for wargames miniatures and games. 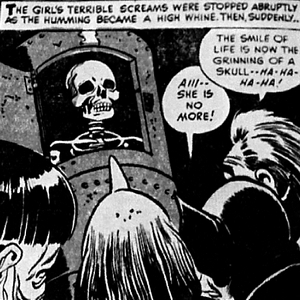 [The Grinning Skull] Grinning Skull Miniatures: Greens, greens everywhere etc, etc..
[The Grinning Skull] 15mm musings: 10 Scooby doo monsters that should be 15mm miniatures!